1. Place apricots, 3 tablespoons honey and water in a small saucepan. Simmer over low heat for 7 minutes. Remove from heat and let cool. 2. 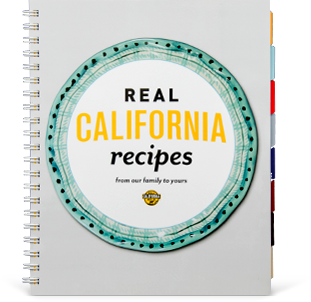 For each serving, use three apricots and two slices of cheese. 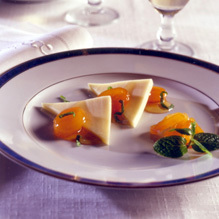 Alternating apricot and cheese, arrange them in an overlapping fashion on an individual serving plate. Julienne remaining apricots and arrange next to cheese. Sprinkle with 1 1/2 teaspoons of mint and drizzle with honey.